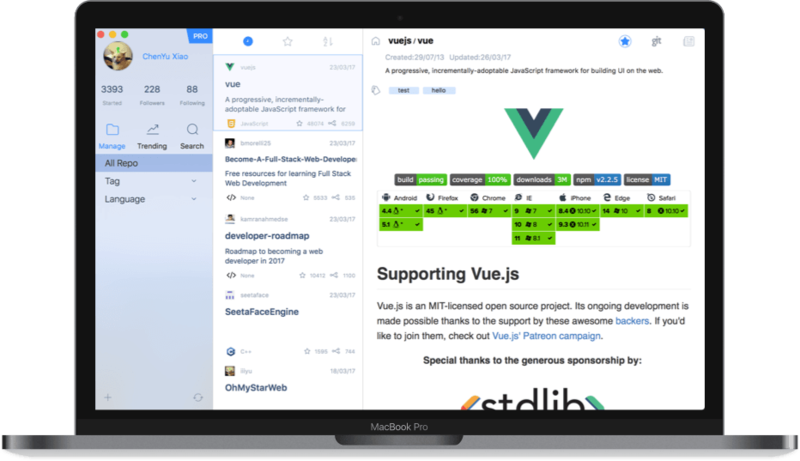 Beautiful and efficient way to manage, explore and share your Github Stars. You can always follow the Fashion trends in programming world. Share your curated repositories to your friends. Oh My Star will automatically fetch and update all your Github stars. You can group related repositories together by tagging and rating. Easily find repositories by sorting your starred repositories by name, rate and date. Oh My Star make you be able to share a curated collection of repositories with your friends.